There has been an increased focus on lighting in recent years with the rise of LED, which has been furthered by the imminent Part L revisions that are lighting specific. It’s all great news as lighting can account for some of the largest energy spend in a building and reducing this is always going to be greener and more financially prudent. One challenge, however, is making new technologies fit our heritage buildings, “preserving the old ways from being abused,” if you will. 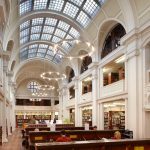 Overcoming this challenge was very much the focus of Spectral Lighting’s latest project at Bristol’s Central Library. 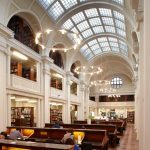 The Grade 1 listed building was built in 1906 following a competition welcoming designs to replace Bristol’s old public library. A Charles Holden design won and has become, along with his Edward VII wing at the Bristol Royal Infirmary, some of the most highly regarded examples of Edwardian architecture in the city. 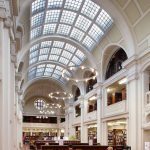 The main reading room in the library has a vast tunnel vaulted glass ceiling that was lit with classical, candelabra style chandeliers. When the building was recently rewired, the building managers looked at how they could make this area’s lighting scheme more efficient. As beautiful as the chandeliers were, they were more decorative than functional pieces and were extremely inefficient. Working with electrical contractor, Hordes Electrical, Spectral Lighting offered CAD renderings of a proposed design that used its extruded, H-PROFIL system. 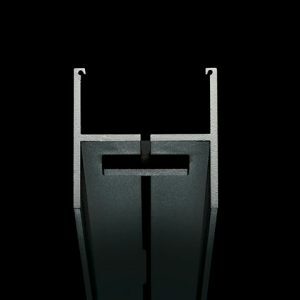 The unique aluminium profile can be suspended to any length using steel wires, finished in any colour and shaped to fit individual project requirements. Spectral was founded on the principal of producing special and bespoke luminaires and the H-PROFIL system allows for designs to be created on an individual project basis. It removes the situation where uniform fittings are shoehorned into unsuitable settings and in the case of Bristol, Spectral worked with Hordes to create a design that fits seamlessly into Holden’s Edwardian vision. The circular pendant ring design that has replaced the candelabras has been suspended under the glass ceiling using an anti-twisting cable suspension arrangement. The LEDs fitted inside the extrusion are covered by cylindrical acrylic glass to create a softer diffused light effect and the expanse of glass above meant there was no requirement for an indirect light source. The aluminium extrusion acts as a perfect heat sink for the SLM LED modules and only a minimal extra heat sink was inserted behind the LED fixtures. 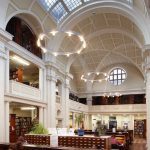 The increased service life of the LED fixtures has seen a major reduction in maintenance issues and the additional energy saving benefits reduces ongoing costs for the library. 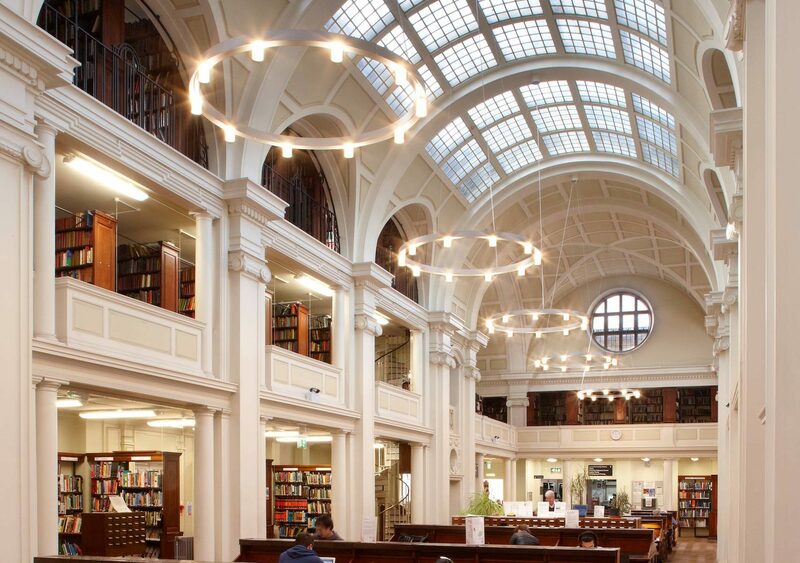 The improved light levels produced are a major benefit in the reading room, and the tailor-made H-PROFIL chandeliers blends effortless into the listed building’s décor, maintaining its proud history and connection to the past.